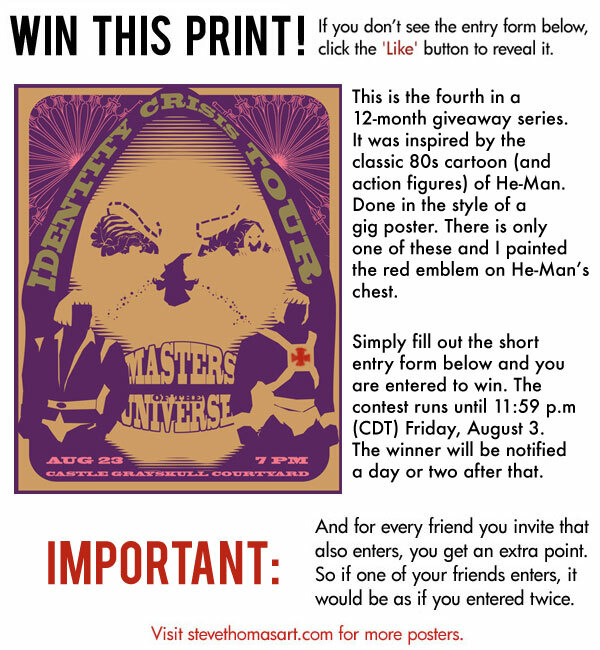 This month I'm giving away a 16 by 20" giclee print of a He-Man inspired concert poster. There is only one of these in print and I painted a small red emblem on He-Man's chest. 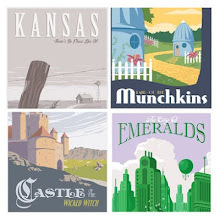 The contest runs until 11:59 pm central time, Friday, August 3. If you don't see the entry form, hit the "Like" button. 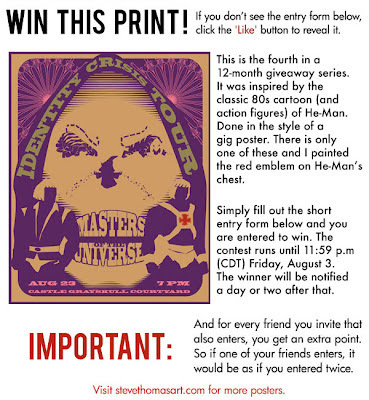 Invite some friends and if they enter too, your entry counts 2, 3, 4 times - depending on how many of your friends enter.